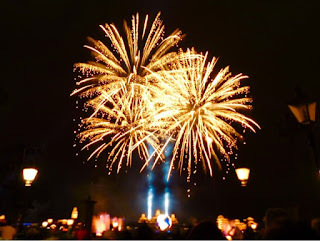 On this night of celebration, I thought it appropriate to post another Illuminations fireworks photo. I took this using a 4 second shutter speed on my new camera. This shot was from the "regular" finale, prior to the special holiday tag.